A B&B is usually provided by private houses that let bedrooms or suites for short term stay, with all the hospitality of a hotel being provided by the host. A great option if you are visiting Denmark overnight or for only a few days. Staying at a guest house or bed and breakfast is quieter and offers the comforts of home with most offering a nice home cooked meal. This private and gorgeous 42 acre boutique orchard is situated in the beautiful Scotsdale Valley 10 km's from town. Travel west from Denmark on South Coast Highway. Cross straight over and continue north on Suttons Roads for 1.6kms. Sensational Heights Bed and Breakfast is on the left. Turn onto Ocean Beach Road (on the corner of the Denmark Visitor Centre) off the South Coast Highway in Denmark. Travel approximately 5 km along Ocean Beach Road & turn right into Harrington Break, travel approx. 400 m & turn left into Jack Ricketts Drive. 2nd house on the left you will see our sign 'Pepperwood House'. Drive into Carport, Welcome! Denmark is 450 kms (approx. 4.5 hours drive) South of Perth. Follow Albany Highway, turn off at Mt. Barker and follow the signs to Denmark. 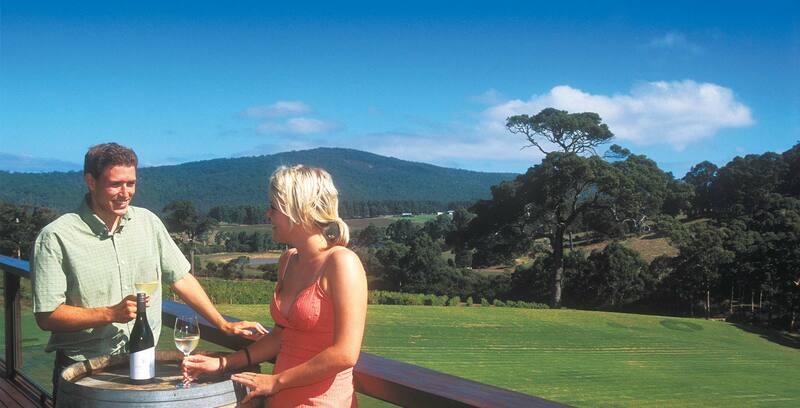 Asherbrook B&B is situated West of Denmark, just 10 minutes drive along South Coast Highway heading towards Walpole. Turn right into McLeod Road which is well sign posted and part of the Scotsdale Tourist Drive and proceed 1.5 kms. We are positioned on the right-hand side of the road just past the Panorama Road turn-off. In the evening it is easy to find, just look for the fairy lights. Coming from the Albany direction, over the river bridge and 31 on the Terrace is on the left hand side on the corner of South Coast Highway and Strickland Street. From the visitor centre, drive back into town and turn right into Hollings Road just before the river bridge. Follow the road around past the turnoff to the caravan park and Denmark Waters is on the left - 9 Inlet Drive. Coming from Albany, turn right off South Coast Highway at the crossroads in the centre of town, into Strickland Street. Turn immediately left into Mt Shadforth Rd and you will find us approximately 1 km along on the left hand side.